Hello and welcome back gentle readers, welcome to this week's edition of the PartyPoker Weekly. There has been plenty going on over the past seven days and the next week is sure to blow your mind too. Do you want to know what is what in the PartyPoker world? Then keep on reading. Thanks in part to the PartyPoker Premier League V and the upcoming World Poker Tour some of the biggest names in poker are in the Austrian capital of Vienna and on Wednesday, April 11, a select few of them will sit down at a high stakes cash game that PokerNews is going to stream live! 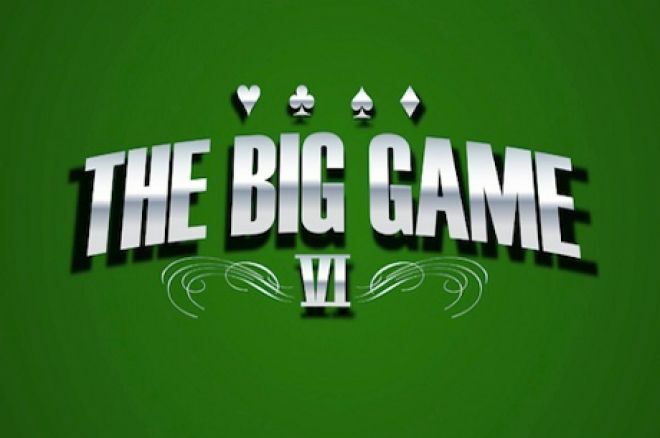 The likes of Tony G, Yevgeniy Timoshenko, Daniel "Jungleman" Cates, Tom "durrrr" Dwan, Sam Trickett, Scott Seiver, Patrik Antonius, Erik Seidel and many more will be battling it out at the live felt in The Big Game VI. As in previous years the cash game will run for 48-hours non-stop and you can fully interact with us throughout. PokerNews will be using the excellent Cover It Live software which allows us to chat with you viewers, but more importantly it allows you to interact with the action and be responsible for voting for the player you want to keep in the game. On top of that we have a sackful of tournament entries to give away, 48 in total, an exclusive freeroll where someone will win a seat to the $1,000,000 guaranteed Pokerfest Main Event and a reload bonus of up to $250! Keep your eyes fixed on the dedicated Big Game page over the next couple of days because this should be a fantastic spectacle and one you can be heavily involved in! Group A of the PartyPoker Premier League V has been completed and the three players who have made it through to the final table have been decided. On Tuesday 10 April Mathew Frankland, Sam Trickett and Tony G will all take a seat at the final table and have a realistic shot at $500,000! Frankland may not be a household name but he is certainly on the final table on merit. 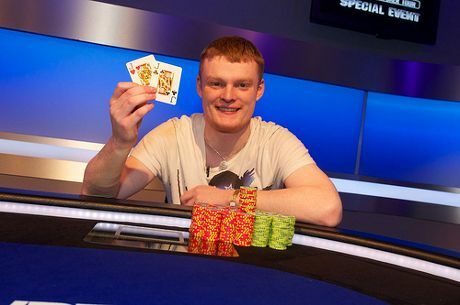 The 23-year old British pro won his $125,000 seat by first winning an online satellite then taking down a live satellite and then going on to top Group A with 40 points, worth $80,000, after winning two of the four heats! The aforementioned trio will be joined from Group A by either Phil Laak or Andy Frankenberger who will face each other in a series of heads-up battles to see who qualifies for the star-studded final table. Group B is yet to be settled but it will be completed Monday. You can follow all of the action from that last match over on the PartyPoker Blog. Pokerfest II Online Just Around The Corner! Pokerfest II Online gets under way on April 22 and it promises to be bigger and better than ever before. The second edition of the superb online festival boasts no fewer than 47 events between April 22 and May 22 with a staggering $3,500,000 in guarantees and a Main Event that will pay out at least $1,000,000! Along with the 47 tournaments there will be multiple side events taking place between April 22 and May 6, meaning PartyPoker is the place to be when it comes to tournament poker. Pokerfest II Online gets under way at 13:30 EDT on Sunday, April 22, with the first of four events scheduled for that day — the $215 buy-in $350,000 guaranteed no-limit hold'em event. Half an hour later, there is a $2,500 guaranteed no-limit hold'em event that costs just 20 PartyPoints to enter then at 14:30 EDT there is a $22 buy-in no-limit hold'em event with a $35,000 guaranteed prize pool. Rounding off the day's action is a $530 event that will see at least $250,000 in prize money be won. Every day during Pokerfest II there will be two tournaments, each with a $1 buy-in, running at 13:45 and 16:00 EDT that have what PartyPoker say is "a twist." The reason for the inverted commas is the fact nobody knows what these twists will be and they will only be revealed in the lobby at the last minute! What these twists are only PartyPoker know but we expect them to be different formats with added prizes and value. Not only could you be walking away with bags full of cash after your Pokerfest II exploits, but you could also find yourself heading to the 2012 World Series of Poker armed with a package worth $14,000, iPads, and cash bonuses of between $2,500 and $20,000 if you manage to trigger one of the five Pokerfest II jackpots. 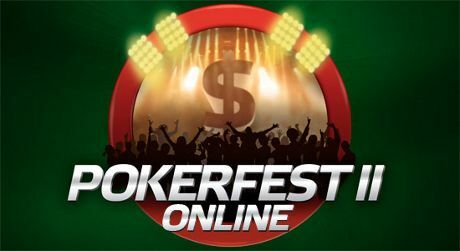 PartyPoker have added a whole host of prizes to the Pokerfest II Online festival in the shape of jackpots. Win three events and you will not only be rolling in cash but PartyPoker will give you an additional $20,000and a $14,000 package to the 2012 World Series of Poker Main Event! Win any three Pokerfest II tournaments and you will win $20,000 plus a $14,000 package to the 2012 WSOP Main Event! Finish in the money in any 20 of the Pokerfest II tournaments and $5,000 and an iPad will be yours. If the chance to walk away with a $20,000 bonus and a $14,000 WSOP package is not enough to whet your whistle then how about leaderboards with combined prizes of $50,000? There is a leaderboard for points buy-in, the low buy-in ($6-$33) and high buy-in ($55 and above) tournaments that pay out between 250 and 500 place with prizes of up to $2,500! Help Yourself To a Free $50 Bankroll! Thanks to the special relationship between PokerNews and PartyPoker you can help yourself to a free $50 bankroll! That is correct, $50 absolutely free. $50 that you could use to enter some of the Pokerfest II Online tournaments and possibly turn into a huge sum! All you need to do is follow the simple steps below, and $50 is all yours to keep! Create a new PartyPoker account and enter the bonus code "PN50FREE"
Once you have received the confirmation email, $20 will be placed into your PartyPoker account. You must earn at least 40 PartyPoints before you will be able to withdraw the free $20. If you do not earn 40 PartyPoints within 60 days, the initial $20, or whatever remains of it, will be forfeited. PartyPoints are earned at a rate of two PartyPoints per $1 in rake or tournament fees, so earning 40 within a 60-day time frame is quite an easy task. Once you have earned 40 PartyPoints a further $30 will be deposited into your account bringing the total free cash amount to $50. You must then generate 160 points before you can cash out any of the the $30 and must do so within 120 days otherwise the $30, or the remainder of it will be forfeited.